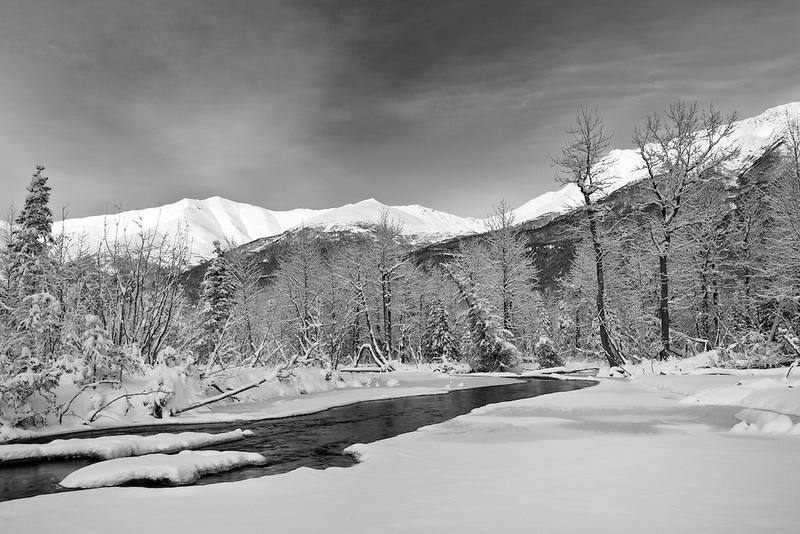 Landscape of Eagle River in Chugach State Park as it nears freeze-up in November with Chugach Mountains in background in Southcentral Alaska. Winter. Afternoon.